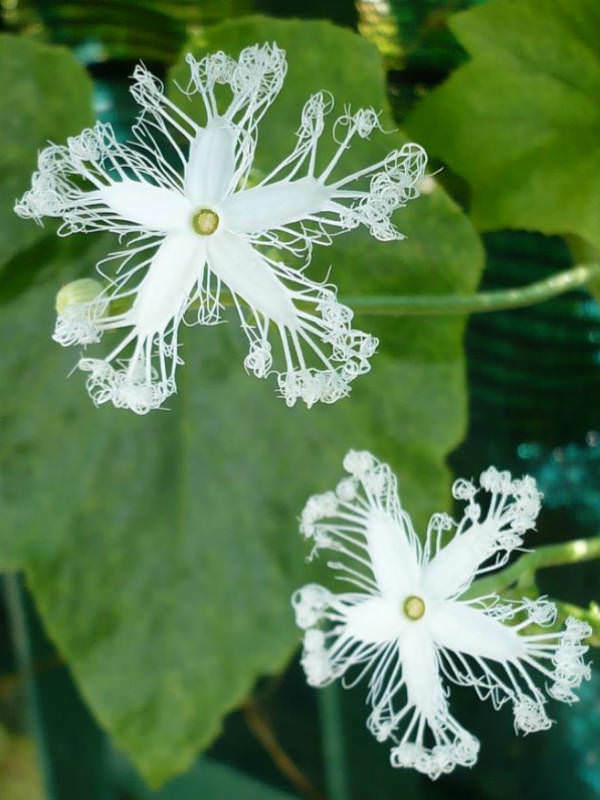 Trichosanthes cucumerina is an annual climber raised for its strikingly long fruit, used as a vegetable and for medicine. The leaves are kidney-shaped, rich green in color and up to 5 inches (12.5 cm) long. 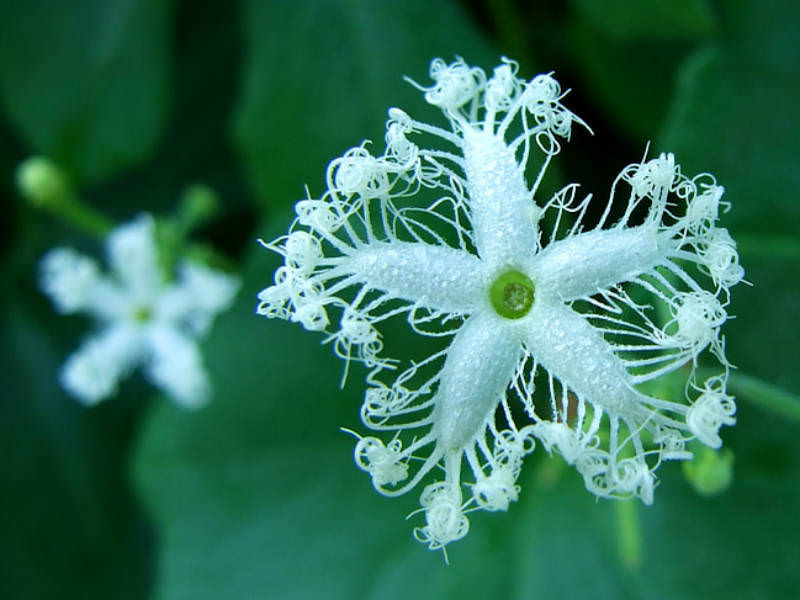 White flowers (male and female) bloom in summer followed by yellowish-green fruit with red seeds. The narrow, soft-skinned fruit can reach up to 6 feet (2 m) long. 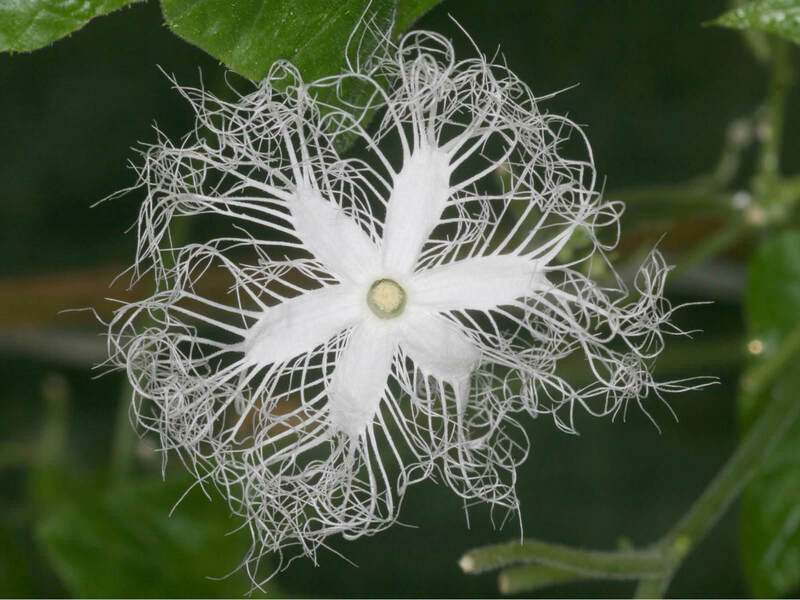 First of all, Snake Gourds need a trellis or something that they can grow up — arbor, chain link fence, etc. Make sure the structure is sturdy due to the weight of the large gourds. Start the seeds indoors early after soaking overnight to increase germination time. Transplant outside much as you would bean plants in well mixed organic matter and topsoil. Seeds can be saved for the following season but toss out any light colored or white seeds. 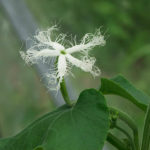 Keep and plant many more seeds than you think you may need, as the germination rate is only about 60 percent. Snake Gourd care is similar to that of most other gourds. Prune the plant’s lateral branches to increase fruit set and production. 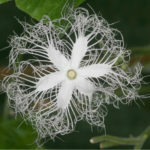 Some people tie a pebble or other weight to the flower end of the gourd to foster a straighter fruit, but this is just for aesthetics. There is no need to do so. 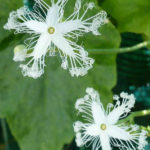 Harvest Snake Gourds when young, around 40-50 days from planting. 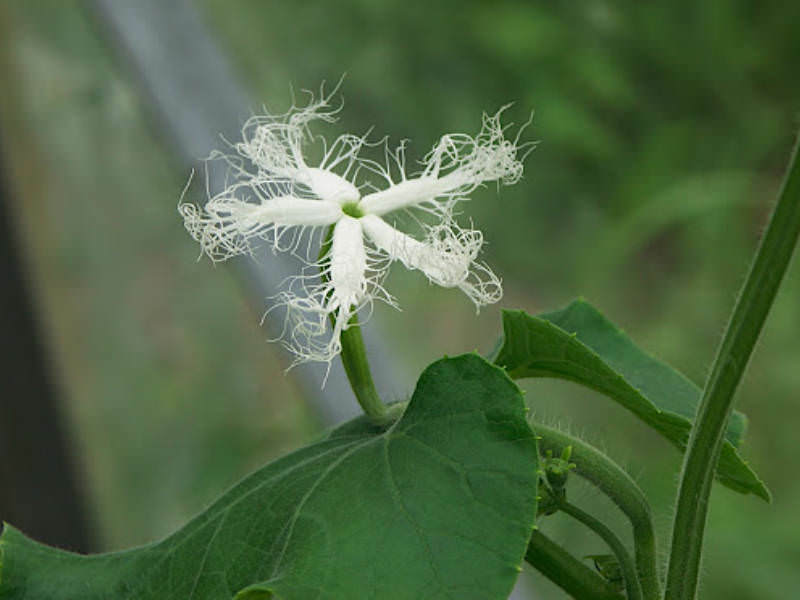 The long varietals may then be ready when only 16-18 inches, while the shorter cultivars will be around 6 to 8 inches (15 to 20 cm) in length… – See more at: How to Grow and Care for Snake Gourd Plant.